Princess cut diamond versus radiant cut diamond: Choosing between these diamond cuts is often a difficult decision because both have great light reflection. If you want the most sparkle, then the radiant cut wins out over the princess cut. There are significant differences between a radiant cut diamond and a princess cut diamond. The most prominent difference is the way each cut reflects light. 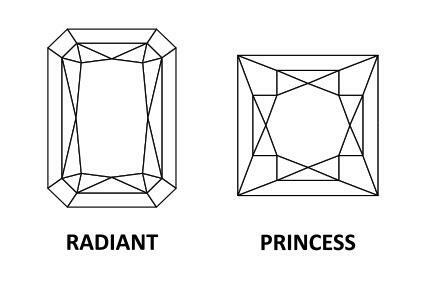 While the crown of a radiant cut diamond is similar to the crown of a princess cut diamond, that's where the similarities stop. A radiant cut is missing the corners referred to as sharp edges. In fact, the GIA identifies the radiant cut as a cut-cornered square mixed cut. When looking down from top, reflected light appears to move in a circular pattern. This allows more light to enter and more ways for it to be reflected out. Center appears to have a four pointed star or X created by the facets and light reflection. This is created by contrast of dark and light or linear life. Most princess cut diamonds don't qualify for the new cut grade since the average cutters have traditionally emphasized retaining the diamond's weight when cutting. This allows for a higher profit margin. 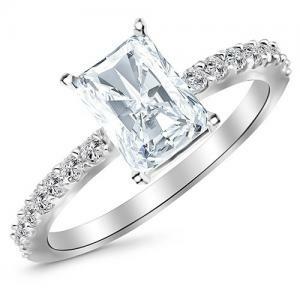 The majority of the public is not aware of this new grading and for obvious reasons few jewelry stores are educating customers about the new AGS rating for princess cuts and the possibility that comparatively they could be purchasing a now inferior princess cut. Diamond cutters have not altered the way they cut princess diamonds because the large amount of waste the new AGS rating requires means less profit. Until the public demands princess cut diamonds adhering to the new AGS rating, cutters will continue as they have in the past. 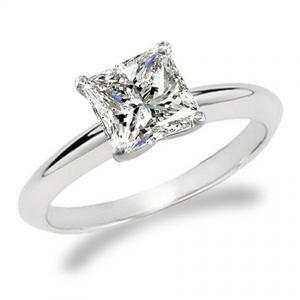 The choice of whether to buy a princess cut diamond or a radiant cut diamond is a personal one. If you prefer clean straight outer lines then the princess cut will give you sharp corners. Those who enjoy a unique design will like the cut corners and extra facets the radiant cut diamond offers. Whichever style of diamond you choose, you'll want to examine it closely to judge the quality. The dilemma of a princess cut diamond versus radiant cut is easier when you educate yourself.